Is it too late to start at 16 months? - . :Early Learning Community:. 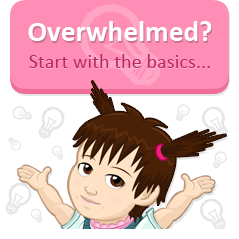 BrillKids Forum > Little Math - General Discussion > HOW TOs and FAQs > Is it too late to start at 16 months? Is it too late to start at 16 months? I have only just discovered this world of teaching you child and bought the LR & LM. My son loves it and wants more at the end of the session. I was just wondering if starting at 16 months is still of benefit? and also, how are you supposed to know what your child actually now knows what 5, 10 etc is before moving on to 10-20? Re: Is it too late to start at 16 months? Your 16 month old baby will benefit tremendously from watching LR and LM. If he's having fun watching it that means that he's learning. I started LM with my little boy when he was 16 month old also and he likes it a lot, especially when he sees the car icons!! In the end of the session he asks for more. I haven't tested how well he knows the numbers yet but what you can do is to present your child two cards with different numbers of dots (For example: five dots and 9 dots cards. Make sure that you know which one is which) and ask him which one is number five? Hi, I started my son at about 13 months. He's 20 months now and I hadn't really tested him up to this point. He did however read my husbands t-shirt the other day that had the word 'star' on it (and not a matching picture), with his speach developing he's also said the numbers 4 and 5 when he's seen them and often phonetically pronouces letters when we do an alphabet puzzle. I also offer two or three choices of letters or words on his chalk board and ask him which one is the the word dog or bus etc. So he points at it and says the word if he can. I think it would be of benefit to your child if he or she was four years old. I don't think its ever too late. Even when they start school they expect the kids to not know how to read at all so anytime up to that point is still giving them a head start. 16 months is definitely not too old, nor is 3 or 4 years old. Most kids don't learn these things until they are 5 or 6 when going to school. You shouldn't test your child. If you follow the curriculum, then you don't need to worry about when to move on, it takes care of that for you. Plus, everything is periodically reviewed. I started LR with my older child, he is now 3. He is in a montessori preschool now, and although he is doing well with reading he has trouble with math, you know in montessori schools they teach that in first grade Kindergarten, (in Mexico we have three prek years) I was wondering if it would do him any good if I get LM since he is quite older for that now, or should I just let him continue with material. I used the dot cards 1-20 when he was younger, but I guess he did forget them and now he has trouble with numerals, which I never showed him. LM is great for learning numerals. You can also use it to teach basic arithmetic. The general rule is that we should not test our children to see if they know what we are teaching. But, there are many games that can be played that are more in the lines of problem solving than testing that will give you an idea of what your child knows. We play find the word - I stick up 10 or so words around my house and ask my daughter to find the word that says "ball" - she then gets to run around the house, look at all the words, and then point out which one is ball. She is very active and likes the games that let her move. To reiterate what everyone else has said, 16 months is not at all too late. A 16 month old will probably learn the material much quicker than a younger child and you many find that showing each set only once or twice is enough. If your child is still wanting more, then I would suggest giving more. At that age most children can sit through more than just a couple minutes of LR or LM with interest. You might find that you get through the curriculum much faster than 12 months.